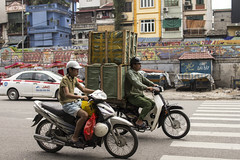 I can’t quite put my finger on it, but there is something that makes Hanoi distinct from other cities in Vietnam. 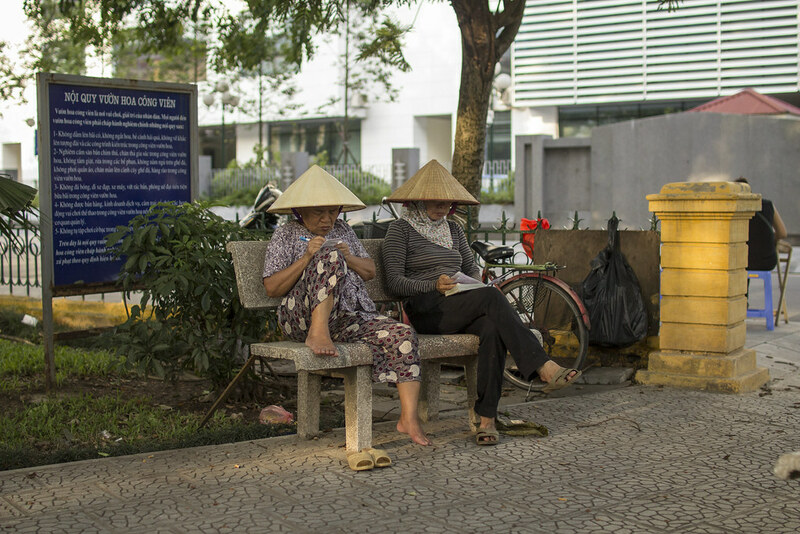 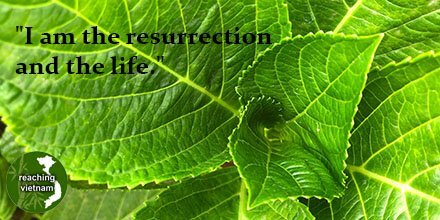 The differences between north and south Vietnam are subtle, yet undeniable. 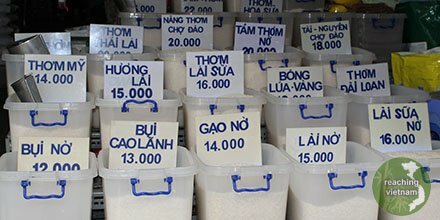 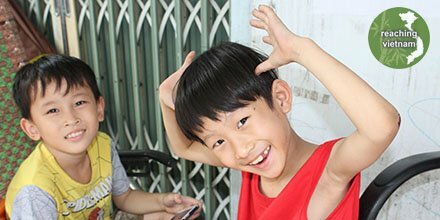 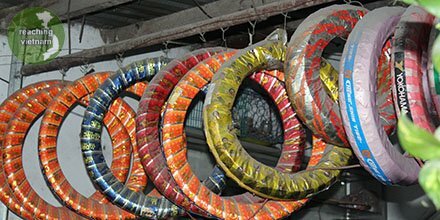 After slowly traveling from north to south, the whole of Vietnam has collectively morphed into one singular impression in my mind, but as I carefully think back on my experiences in the cities furthest south, I can begin to distinguish the characteristics that make Hanoi unique. One of the first distinctions I notice is how difficult it is to get a good portrait of a local. The shutter of my camera is often met with an angry glare or a hand quickly deflecting my lens. 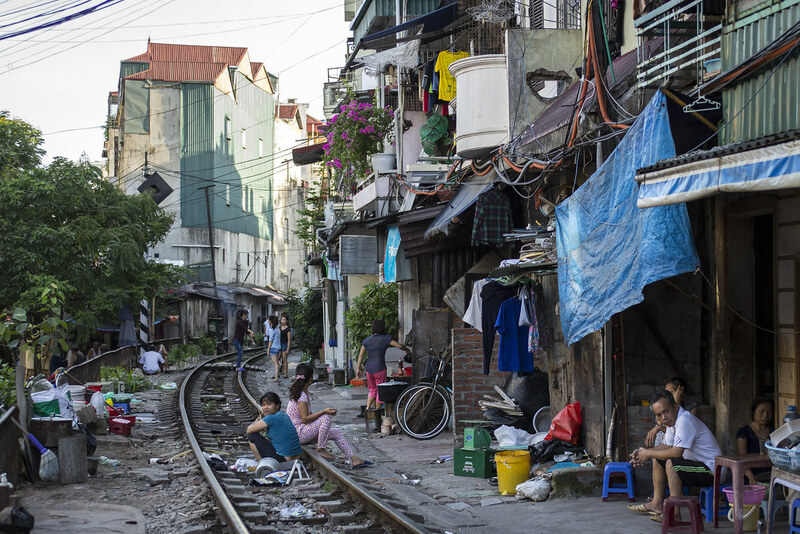 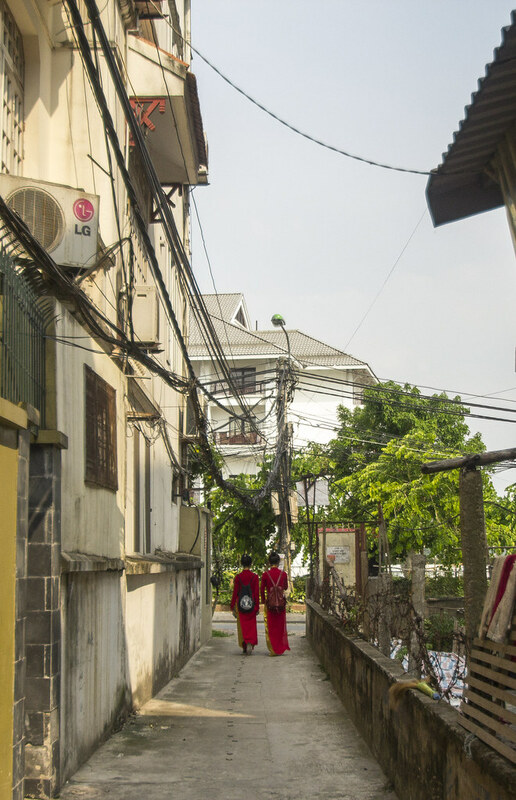 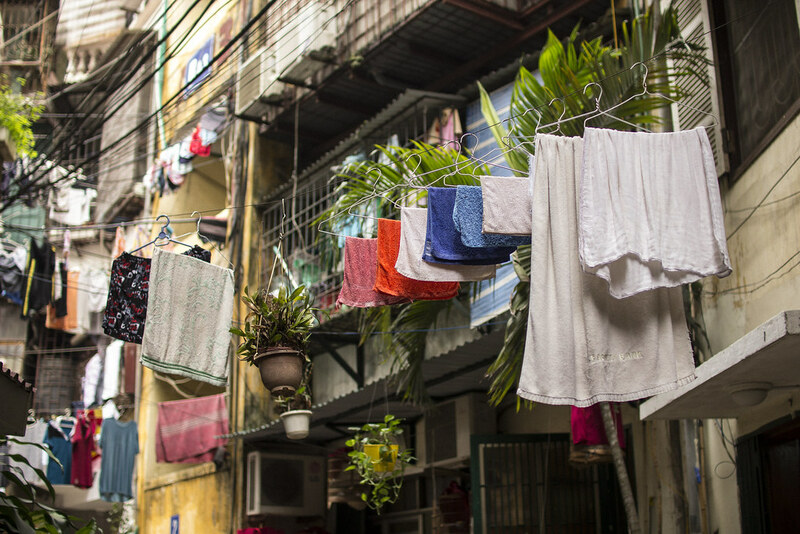 Maybe it is the result of foreign occupations and wars, the flocks of tourist that throng the city, or simply the collective personality of the city, but I find that Hanoi is just a little more cautious about baring its heart and soul to a curious newcomer. 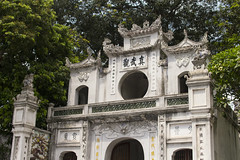 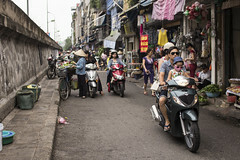 As I spend more time in Hanoi, I begin to notice other defining features: bright yellow facades and wide streets lined by trees–faint traces of European influence that point back to French colonization; Chinese temples and monuments that still stand after a millennia; Government buildings on almost every corner, and a wealth of historical landmarks. 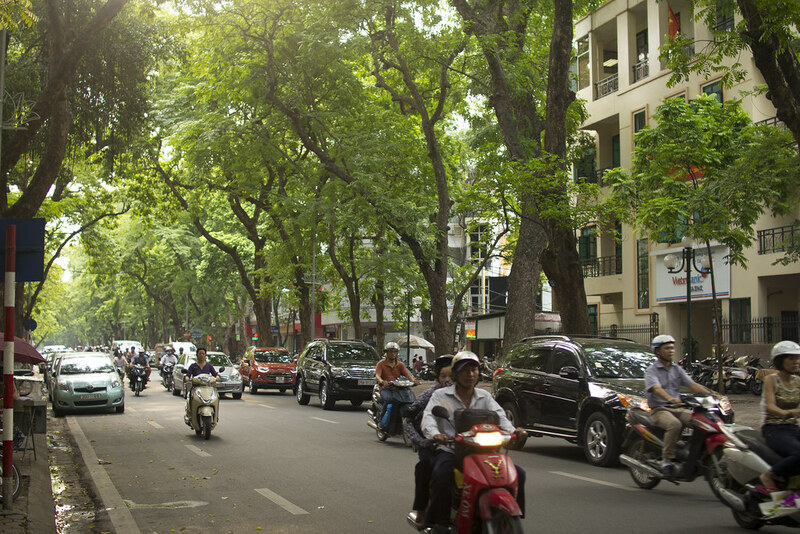 Hanoi is not a city that welcomes you with open arms, but it is a place that slowly wins your heart. A family heads out of the hem to begin the day. 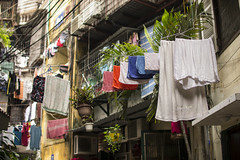 Laundry dries in the morning sunshine in a hem across from the old quarter. 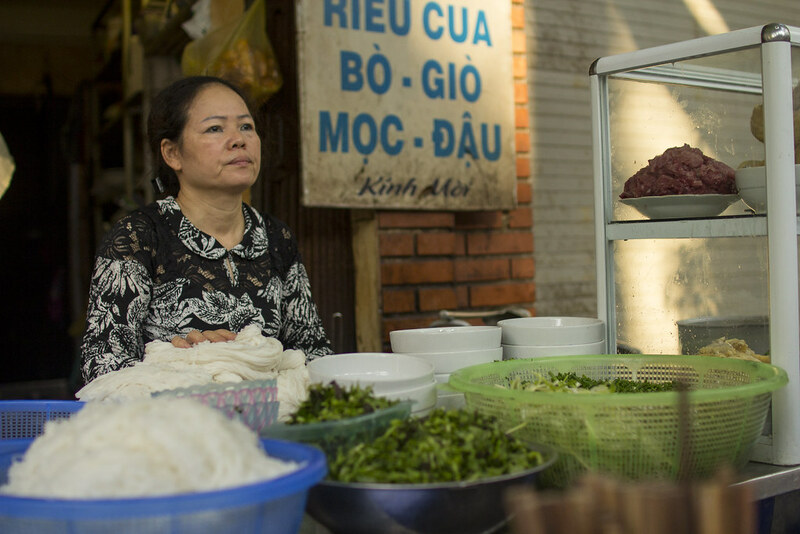 A woman waits to serve breakfast to hungry commuters on the way to work. 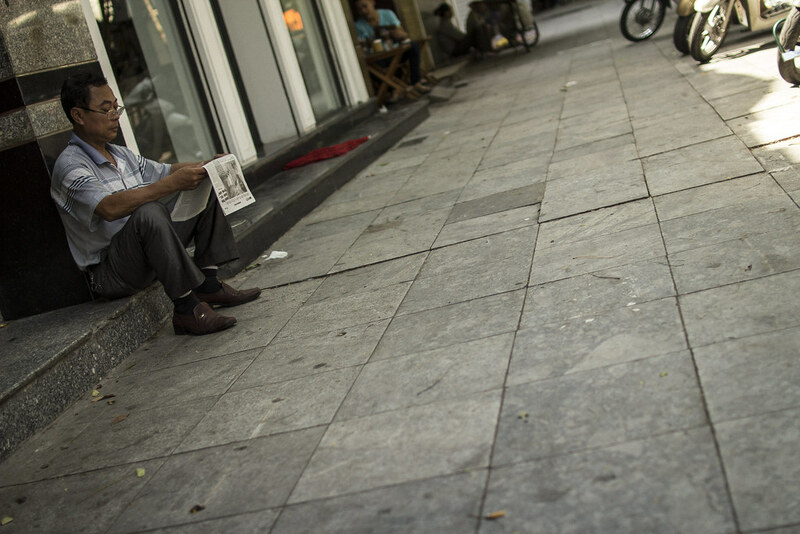 A man sits on the sidewalk and catches up on news from the morning paper. 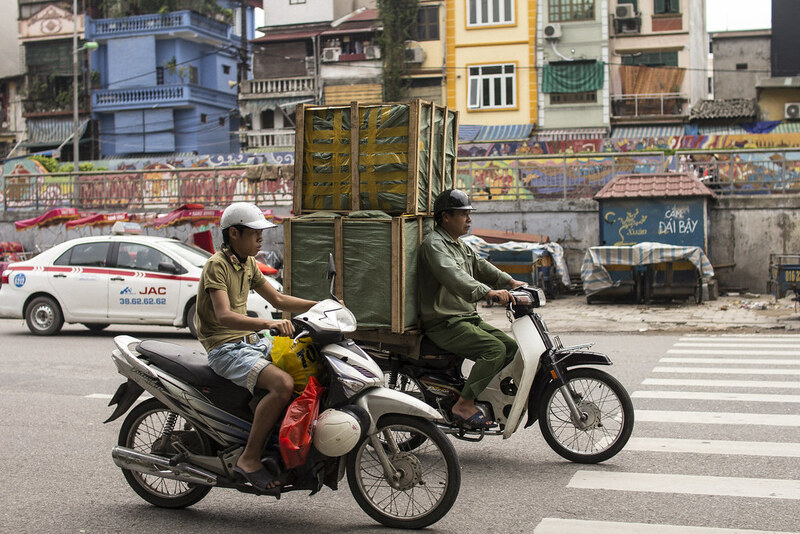 Carrying precious cargo and focusing on the road. 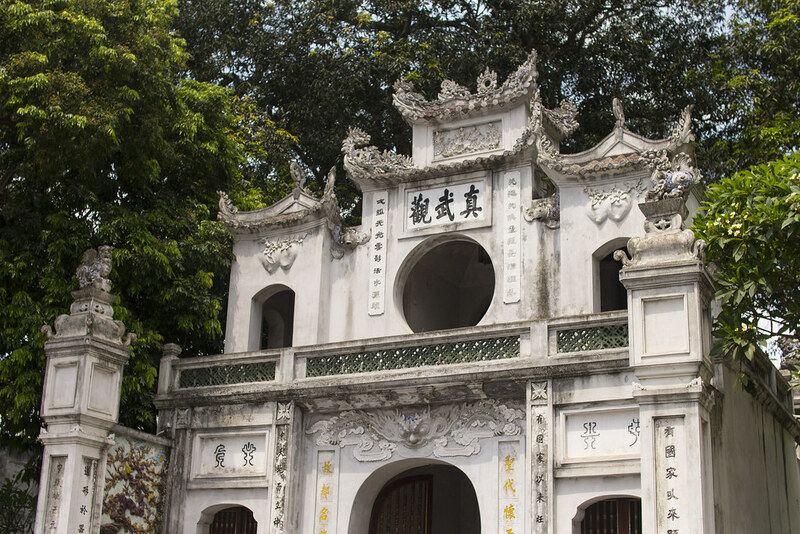 An aged Chinese pagoda stands as a reminder of influence from the East. 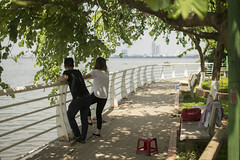 A young couple chats while watching fishermen work on the West Lake. 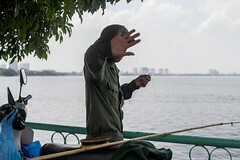 A fisherman unhappy with the idea of having his photo taken. 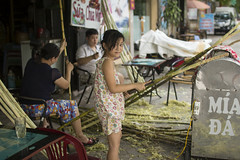 A girl works with her family to remove the bark from sugar cane. 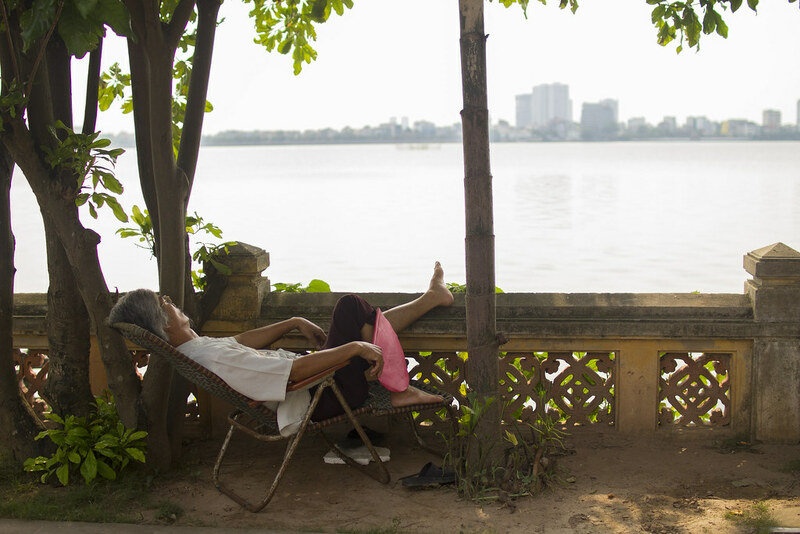 A woman naps in the shade along the West Lake. 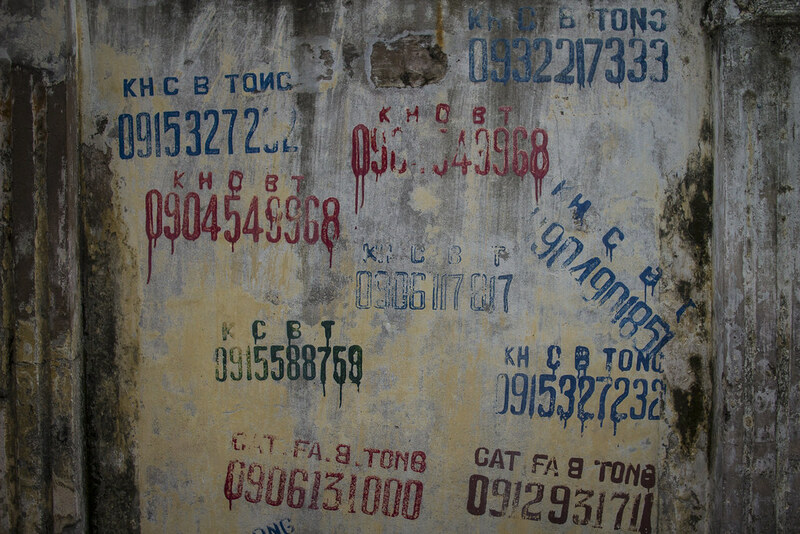 Stenciled advertisements cover a wall in a local hem. Families linger on the train tracks that run through their hem. 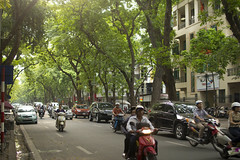 Shade trees planted by the French line a busy road in downtown Hanoi. 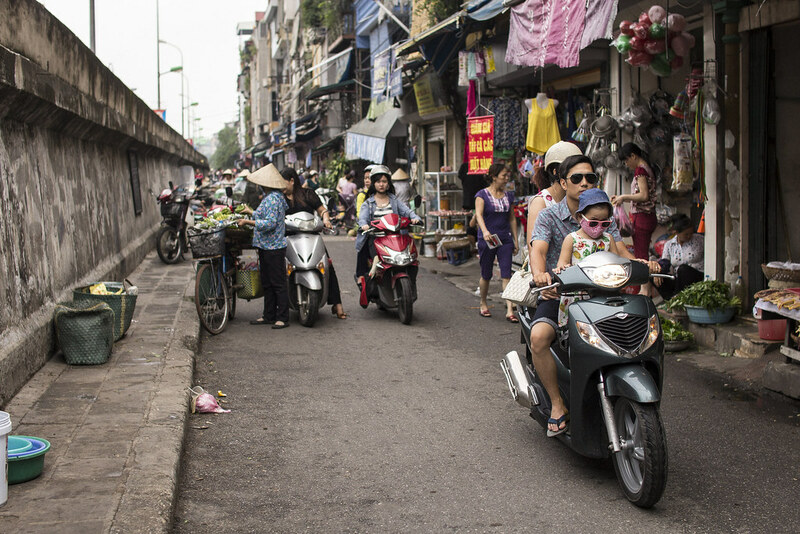 When the French were in control of Hanoi, they tore down entire neighborhoods in order to implement their urban development projects. 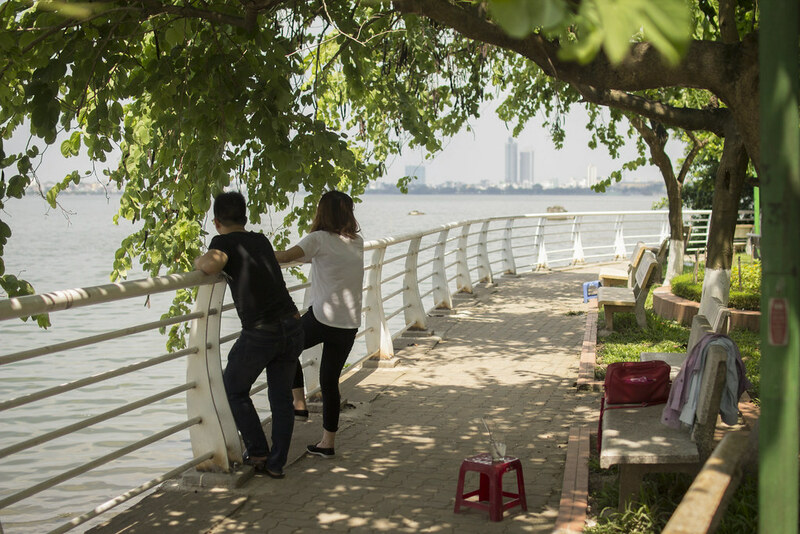 Two girls search for a café near West Lake after finishing work in the city. 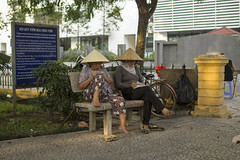 Two women record their earnings for the day.